The annual Bowl-A-Rama skateboard contest returns to Wellington with the same folks that brought the Australian Skateboarding Championships in Newcastle (Australia) last week. This year Bowl-A-rama will take place February 8th through the 12th at the Waitangi Skatepark on Cable Street. Bowl-A-Rama is not only the biggest professional concrete event in the Southern Hemisphere, but also the biggest week of skateboarding-infused cultural festivities in New Zealand. Waitangi Skatepark features a combination of classic street obstacles and killer bowls. 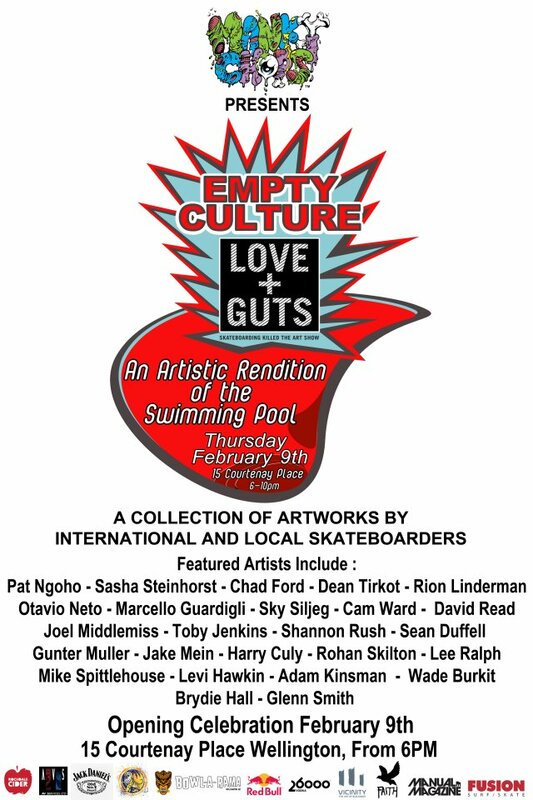 Whereas the contest will take place on February 11th from 9 a.m. until 6 p.m. , the days leading up to the main event will be filled with a series of skate related events including the Love and Guts Art Show where skaters like Steve Caballero, Lance Mountain, Rune Glifberg, Christian Hosoi and Pat Ngoho will be exhibiting their latest crafts and painting. Last year Pat Ngoho won the Masters and brought back the pork home while the Brazilian powerhouse, Pedro Barros, ripped it up. His 540s were insane! It was no surprise that he rolled away with a first place Pro Division win and $4,800 worth of price money. Of course, Pedro Barros is invited to the contest. He had an incredible year in 2011 thanks to his high energy and skill level. In 2011, he landed 3rd at the Copenhagen Pro Bowl Jam, 2nd at the CONS Coastal Carnage and 3rd at the Maloof Money Cup Mini-Mega Final in September. He also took 5th at the Maloof Money Cup South Africa Mini-Mega in October and 1st at the Dew Tour Pantech Open. His 540 variations and transfers at the Pantech made history. Jeff Hedges: Post Malmo Vert Sesh interview! !